At a recent weekend winos group gathering we feasted on everything Italian. What a treat! Other than color (and yes color does influence preference) the degree of sweetness was a key determining factor. Appearance: The cocktail plus the hibiscus flower was a winner in overall look, it does look exotic and attractive. 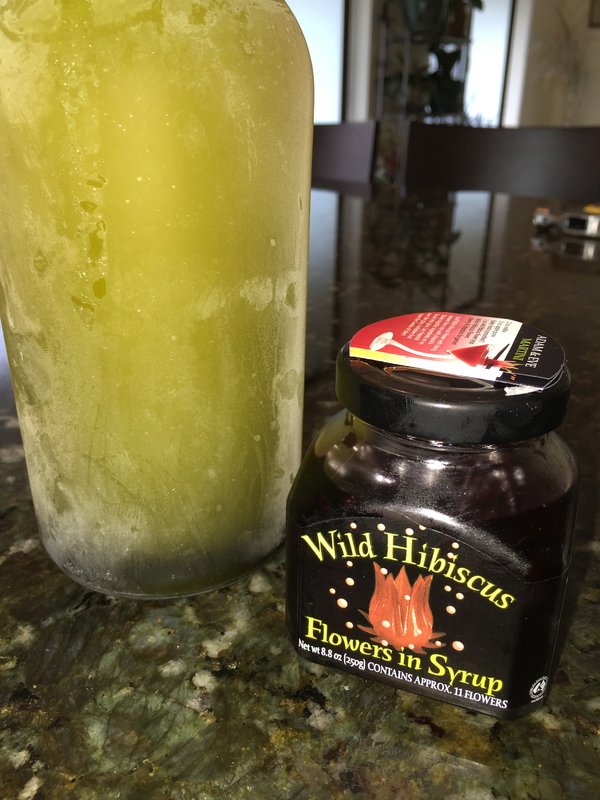 Sweetness: While both the limoncello and hibiscus flower syrup are sweet, the overall perception was that the hibiscus flower syrup was too sweet. Even when no syrup was added (which some with a sweet tooth did), just the flower in the prosecco was enough to make it too sweet. Refreshing: The cocktail plus the limoncello (stored in the freezer) was more refreshing. Overall: The prosecco plus limoncello was the one that most everyone went back for seconds and in some cases more. 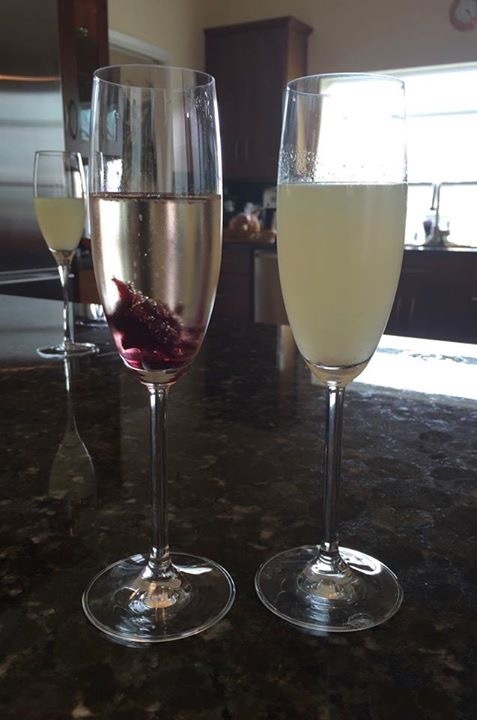 These cocktails, with the accompanying bruschetta, were a great start to a long evening of celebrating every Italian! Categories: Champagne, Libations | Tags: La Marca Prosecco, limoncello, Prosecco, Wild Hibiscus | Permalink.